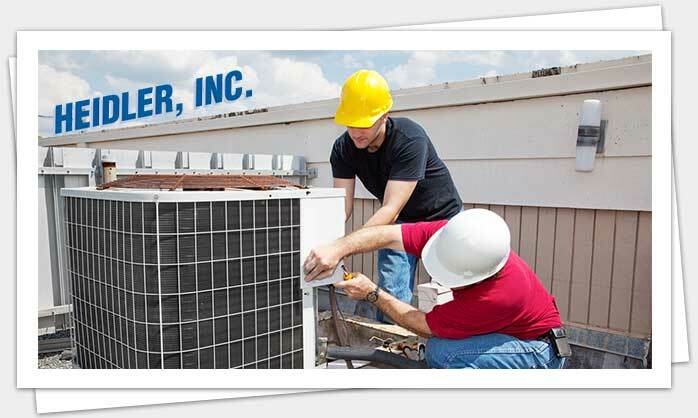 Searching for top-of-the-line Annapolis HVAC repair and installation services? Contact the experts at Heidler, Inc. at (410) 268-7191. For discounts and savings, click here. Your HVAC system ensures that your property remains at a comfortable temperature all year round. There is nothing worse then coming home to find that your rooms or either too hot or extremely cold. Over time HVAC systems can undergo a lot of wear and tear, especially if they are not properly maintained, which is why the certified professionals at Heidler, Inc. are always here to help. We have been serving the customers of Annapolis and the surrounding communities since 1947. With a strong focus on traditional values, quality work, affordable prices, and safety we are here to always guarantee maximum interior climate control during every season. To read reviews and testimonials from other satisfied customers in your area, click here. What are signs that your HVAC system needs to be repaired or replaced? Feeling a draft that will simply not go away…or how about hot and cold patches throughout your home? The greatest telltale sign that your HVAC system is not working correctly is a decrease in interior comfort, whether it be during the winter or right in the heart of summer. Leaking ductwork can most certainly contribute to this problem or perhaps your thermostat simply needs to be recalibrated, whatever the case may be the specialists at Heidler, Inc. will come out and assess the problem to determine the most effective method of repair. Unusual sounds coming from your unit can indicate a number of issues, which is why it is important to get in touch with us right away to have your system inspected. Older HVAC systems that are not creating an even and desirable temperature throughout your home will typically need to be replaced, especially if you notice a steady increase in your monthly utility bills, which likely means that your unit is losing efficiency and attempting to work harder to cool or heat your home. Additionally, a major repair that exceeds 50% of the cost of a new HVAC unit will be better remedied by replacing the system altogether, this is also the case if you are faced with a seemingly endless string or repairs and your bills continue to rise without a permanent solution in sight. What are some benefits to installing a new system? Want maximum control over your indoor climate without any foreseeable repairs in the near future? Then it is about time to have a new HVAC system installed. Newer units are not only better for the environment, but they are also far more efficient, which will help to significantly lower your monthly energy costs. Plus, your old system has collected years of dust and other allergens that can be dispersed throughout your home, lowering indoor air quality. This will not just make for an untidy home, but it can also create a number of health risks for you and your family. Newer HVAC systems are also built to last longer, are smaller and simpler to install, and function very quietly making your time at home more enjoyable. The knowledgeable staff at Heidler, Inc. can go over several different options with you and help you to choose the right system tailored to your budget and specific needs. For superior heating and cooling services in your area, contact the specialists at Heidler, Inc. at (410) 268-7191.